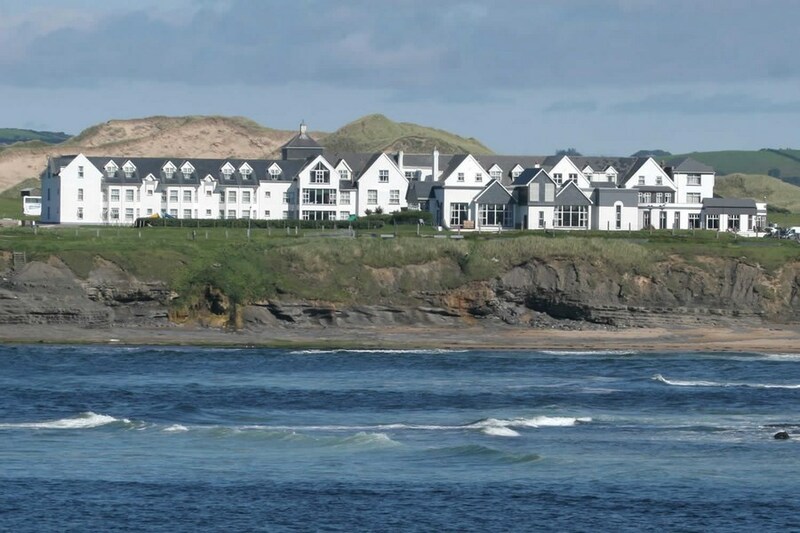 This elegant Sligo Hotel is ideally located in Rosses Point which is a picturesque holiday village on the shores of the Atlantic Ocean with a Blue flag beach. From the village of Rosses Point follow the road to its conclusion where you will see the Yeats Country Hotel to your Right. The Golf Club should be facing directly ahead. 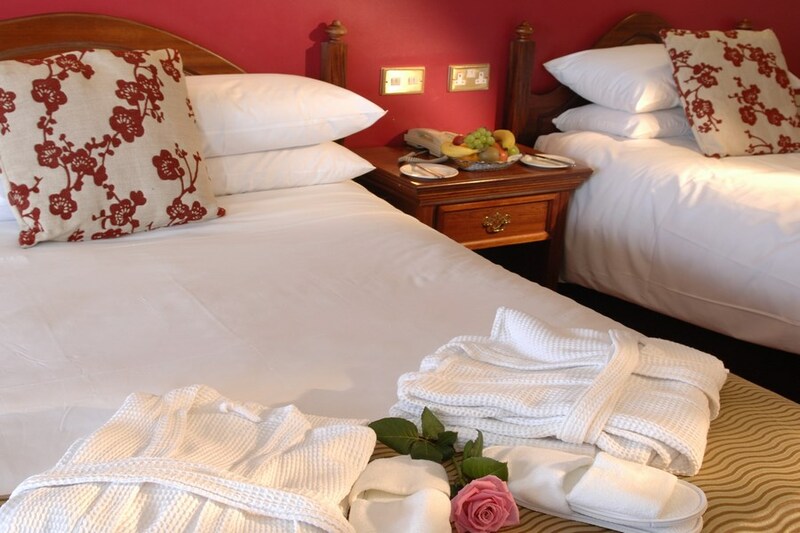 The Yeats Country Hotel, Spa & Leisure Club is in Rosses Point, Sligo, surrounded by the breathtaking beauty of the North West of Ireland. With a Blue Flag beach and a challenging 18-hole golf course nearby, the hotel is great for a relaxing leisure break. The Eros Luxury Spa offers a range of relaxing and therapeutic spa and beauty treatments. we had a very pleasant stay..good value for money. Helpful reception staff. Nice comfortable lounges in public areas. Breakfast good. My husband and I enjoyed a lovely weekend at your hotel. We requested a room with a sea view and got a lovely room with a view. Thank you! Hotel is being refurbished which is much needed to update the decor. We found everywhere very clean. Staff were very friendly and helpful at reception and dining room. Breakfast was good but our meal in the bar on Sat night wasn't good. We didn't enjoy it at al. Sharing starter followed by beef stew which was more like cooked roast beef added to veg and gravy and lamb cutlets were in soggy breadcrumbs, again not tasty. Other than the meal, we had a lovely stay, great location and would return for another visit. Just back from an overnight in Yeats Hotel. The location of this hotel, so close to the beach and the local bars is ideal. The pool was well enjoyed by the 2 children and the breakfasts were perfect also. The staff are very nice and although the hotel itself may seem a bit dated it wouldn't concern me greatly. The bedrooms are very generous in size and the views are wonderful. Third visit and most definitely not my last . Great location, good family hotel Stayed for 1 night as part of a Wild Atlantic Way road trip. The hotel was quite busy, our room had a lovely sea view on the third floor, it was clean, large, and the bed was very comfortable. We had one evening meal and one breakfast, both were quite good. Entertainment was good on the Saturday night, 4 piece band. The Bar in which it is held is windowless, and get pretty stuffy and hot. There are two bars, the one the band was in was without any beers on draught with the bar staff having to go to the other bar to get draught beer which was a little annoying and left the bar without a barperson for several minutes. The staff encountered were all good, especially the dining and Bar staff. The hotel is well used, and the public rooms, bars, reception are quite dated, 1970's style, but there is a great happy atmosphere in this hotel. It's a large Hotel located at Rosses Point with a caravan park and the beach closeby, 5 minute walk. Ideally suited to it's surroundings. Fabulous views and good facilities.I was our 3rd stay and the staff were very welcoming and helpful. They were very efficient at both Reception and in the Restaurant. A special mention here for Brian the bar manager who is world class at what he does. The food was excellent with good sized portions and presented well. The Leisure Centre and pool were good with the exception of many broken lockers in the Ladies changing area. The Public areas of the hotel were warm and inviting, with open fires but no protective fire screens. Our room on the ground floor was spacious and well appointed if a little jaded but they are revamping that area so I look forward to seeing the finished refurbishments. The double bed is the best I've slept in ever. Little things are letting this hotel down, such as worn carpets, rips and pulled treads on curtains and bed covers. If you want a good off season hotel this is it, there was music, bingo and dancing during our stay. Don't book in school break time unless you like dozens of children whizzing around. I would definitely recommend it and will stay again. Our family had a wonderful break at Yeats Country hotel and spa. Nice location, beautiful views, just a minute walk to a beach, plenty to do on the rainy days- swimming pool, gym, sauna, jacuzzi, kids club, spa offering a very good packages. A wondefull service by the staff. Thank you! Just spent two days at Yates hotel. Lovely hotel, staff were very pleasant, room was great. Will definitely be back. Excellent werkend. Hotel and staff were lovely. Great food n drink. The Spa was amazing. We had a great weekend break and will be back. Just back from the most wonderful two day break in the yeats country hotel. Myself, my husband and 7 year old son stayed. From the moment we entered the hotel we were treated so so well. It was wet outside and the fires were on everywhere, so cosy. We booked a family room and we were so pleased with how large it was with a beautiful couch and a sea view. My son joined the kids club every morning and evening and he loved it and made so many friends and the club leaders went over and above with every child to make their stay memorable, thank you to the guys and wonderful lady , so professional. We ate in the diningroom and had your lovely fishcakes and plaice, i can still taste how good they were and the staff were so good to my son who is a poor eater and they were encouraging him with funny stories. We also ate in the bar and the food was also outstanding and such big portions with a lovely atmostphere and great staff who were so attentive. It was so relaxing to sit with our drinks beside the fire in the evening and meet many different nationalities. We had such a wonderful break and even though there were loads of children on halloween holidays, it was really quiet. I used the gym and pool aswell, and the staff were excellent and so so nice and helpful. We will definitely be retuning to this outstanding hotel again and again, a real jewel. Great location, huge rooms with great floor space for 2 small children.tv reception very poor.room and hotel very clean.staff very friendly.fantastic pool for kids.plenty to do in Sligo area. Food was not great in the bar and for breakfast. Breakfast food was only just warm. Plenty of cereal choice which suited our needs. Will return. Nice location with excellent views. Hotel abit old but comfortable, staff very nice. Food in restaurant was excellent and a great breakfast. Had dinner in the bar the 2nd night and this was not so good. Very nice hotel and location perfect. Staff very helpful. Breakfast very good. Our second time to this hotel and not disappointed. We plan on going again. It is warm, friendly and great service. The food for both breakfast and dinner was excellent. The location is beautiful with short walk to sea. Great place to relax. Thumbs up all round. Lovely - epic location. Great facilities. Hotel was excellent value. Staff were friendly and helpful. Room was very clean and warm. Will definitely be back. we stayed for one night. Room need a total revamp.............very very dated. Walls were paper thin and breakfast was poor. Staff are lovely but we would not return. Hotel is set in a lovely part of the country. The Jacuzzi and showers were freezing both days we stayed. Staff told us it would be fixed but it wasn't and the hotel management were not even aware of this. The leisure centre is in another detached building and there is no lighting between the two buildings. There was no control over the heating in the room, there was no thermostat, we had to leave the windows open and that wasn't ideal. The toilet in the room would not flush, the TV remote did not work and the kettle was broken and we had to call reception twice to get another one. The hotel bar was very small and the bar man very loud! The food in the bar and the restaurant was not great. The staff were not very friendly or helpful. In all hotels I have been in they have free papers for customers but not at Yeats, I was told quite abruptly that they had to be bought. We booked with another couple who received a seasonal gift in their room and we did not. The spa which is separate from the leisure centre was excellent, the staff, equipment, and treatments were of a very high quality. If anyone else is thinking of going to Rosses Point, there are B&B's close by or the Raddison and you can still enjoy the location as it's only a few minutes away by car. You can also still book treatments in the spa if you don't stay at the hotel. Beautiful setting and very friendly staff. Really enjoyed our stay. Decided to go for 3 star olde world by nice location over 4 star townie hotel... happy we did. Hotel was very nice, nice pool (get in at a quiet time! ), and location was fabulous. More than happy with our stay. as usual the hotel was clean ,friendly and welcoming.The bar menu has been extended and on one night the staff showed flexibility by adding the a la carte main course as a special at the special price .breakfast was wonderful and all the staff were very helpful and did all this with a great sense of humour and craic.. ENJOYED OUR STAY , HOTEL LOVELY AND CLEAN , VERY FRIENDLY STAFF ESPECIALLY IN THE KIDS CLUB .FOOD WAS VERY GOOD TOO . WOULD STAY AGAIN . just back from a lovely stay at this hotel. didn't expect much after reading some bad reviews but we were pleasantly surprised with our family room. it was bright clean and spacious with a lovely view of the sea. reception area needs a makeover but we liked the old world feel to the lounge area. bar food was ok. one evening meal was included in our package in the restaurant. often in hotels with this offer the choice is very limited and you dont feel like you are getting a 'proper' meal. but i have to say it did not feel like this at all. varied menu and we enjoyed our meals very much. Eros spa on 3rd floor is really lovely. the seaweed bath and massage were great. Beach is a few minutes walk from hotel. 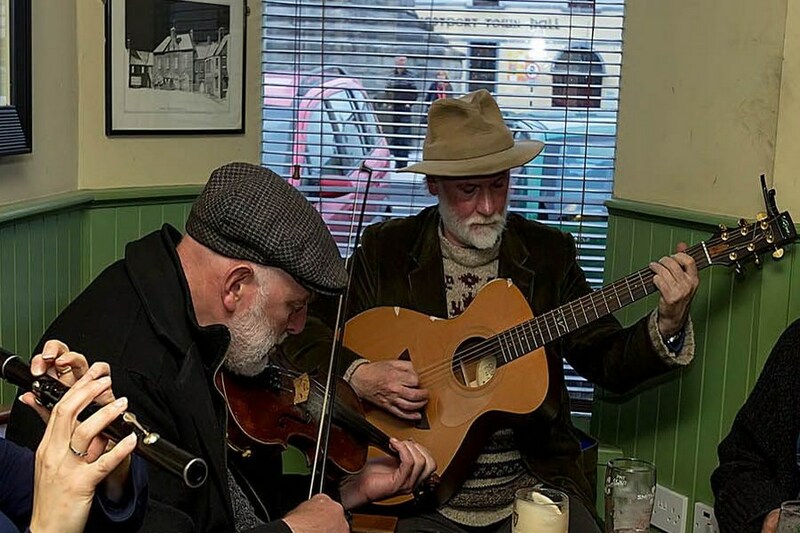 Sligo town is just a short drive away. Overall it was a nice little break away and great value. i found the hotel had went down hill as i had stayed there before about 7 years ago . There were plenty of staff who were very helpfull . the dinner menu was very basic more like a lunch menu but food overall though good was not very exciting . The hotel could do with a good make over but rooms were clean and comfortable . The hotel is located very close to sea and 7km from sligo best of both worlds . very impressive building, lovely part of the country, staff excellent, food disapointing. We really enjoyed our stay in Yeats Country Hotel. The staff were very helpful and approachable. I particularly enjoyed my full body massage and facial in the wonderful spa. We had a lovely 3 nights at Yeats Country Hotel. The staff are so helpful and friendly. It was very relaxing. Friendly staff. Good food. Warm & cosy. Open fires. Does need updating, but perfectly fine. Fabulous break, excellent setting. Great service and food. I would recommend to anyone a lovely escape away. On awhole i enjoyed the stay in this hotel. However, the housekeeping group entered our room 3 times before 9am which was a bit ridiculous. The night porter wasn't very helpful either. I also think the rooms could do with a facelift. The food was lovely and the restaurant staff and spa staff were lovely. Lovely stay at this hotel. Stayed in Family Room with our 2 year old son. Although basic it was clean and quiet. Pool was loved very much by my son. The beach was literally a 2-3 minute walk to a beautiful sandy beach which was helped immensely by the fact the weather was amazing. We stayed B&B + 2 Evening Meals and food was good. Not super fancy but good portions and the staff in the restaurant were amazingly friendly and made a fuss of our son each time they saw him. Overall a lovely relaxing stay and we will certainly return again. I would recommend this hotel to my friends. the whole hotel needs a complete overhaul and a clean up. the room was grubby, outdated and full of spider webs. the curtain rail was even coming off the wall. the food was absolutely terrible and lacked seasoning. there was very little to do as everything was closed up for the season which is ridiculous as most holiday places dont close until halloween. the pool was the only good thing about the holiday it was so disappointing and i would of been disgusted if i had paid full price for this hotel and i wont be recommending it to anyone. Very disappointing weekend. The last time for sitting down to dinner is eight o'clock, We lost out on the first evening meal as we arrived at 20h45. The bed was so soft that I initially thought it was a waterbed. Woke up with a back ache. Thought we would go soothe it in the jacuzzi, only to find that the jacuzzi was out of order. We opted to have desert with our only evening meal we had, and had to fork out €26 for two simple deserts. I tried to ring the hotel to resolve the cost of the desert, but more than 24 hrs later and they are yet to ring me. They cannot be serious about customer service if this is the way they handle customer complaints. Quite dated Hotel, in need of refurbishing. Well located, with beach nearby, good leisure centre. The food is not as good as its sister hotel in Bundoran. We had a very relaxiing stay nonetheless.